Pssssst...Upstate New York has a few little secrets. In and around Saratoga Springs, you can relax in a hot mineral bath, shop at boutiques in a small Victorian city, listen to an internationally renowned orchestra, and bet on thoroughbred racehorses. What’s more, you can walk the grounds of one of the most significant battle sites on the globe. Here in Stillwater, New York, on pastoral bluffs above the Hudson River, two Revolutionary War battles ended in an American victory so powerful that it drew international alliances, turned a colonial rebellion into a world war, and led to the birth of the world’s most powerful nation. The formal surrender of British General “Gentleman” Johnnie Burgoyne and his forces to the Americans in the autumn of 1777 is depicted by artist John Trumbull in one of eight scenes memorializing America’s founding in the Rotunda of the United States Capitol. The Battles of Saratoga were named in the New York Times Magazine as the “battle of the millennium” and by esteemed British historian Sir Edward Creasy as one of the 15 most decisive battles in world history. 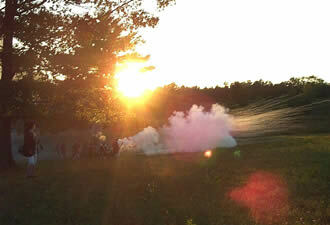 These facts may not be well known, but the powerful story of the battles and their meanings come to life when you visit the hallowed grounds of Saratoga National Historical Park. Most visitors to Saratoga National Historical Park drive the scenic 10-mile tour road, stopping to check out the 18th-century Neilson farmhouse or the Boot Monument marking the site where Benedict Arnold took a bullet in the leg while leading a pivotal charge in the second battle to overtake a British fort. Along with Virginia rifleman Daniel Morgan and New Hampshire’s Enoch Poor, Arnold served as one of the top commanders under American General Horatio Gates. The park is prime country not only for history enthusiasts but also for birders, horseback riders, snowshoers, and bicyclists. Ranger programs for adults and children, free concerts, candlelight tours, a July 4th Citizenship Service, historic encampments, and other special events throughout the year attract visitors from all over the world. Nine miles north of the battlefield are three other sites, located in the villages of Schuylerville and Victory, which are also part of Saratoga National Historical Park. 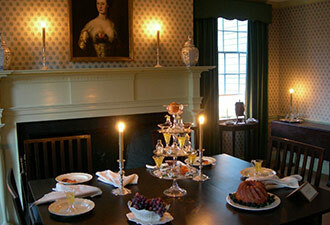 The Schuyler House is the 1777 country home of General Philip Schuyler, a businessman, politician, and entrepreneur, and father-in-law to Alexander Hamilton. Schuyler constructed this home within weeks after the retreating British burned his earlier estate on the property. Nearby is the Gothic style 155-foot tall Saratoga Monument, which hardy visitors can climb for panoramic views of numerous mountain ranges. This year, the park opens Victory Woods, where a fully accessible boardwalk trail passes through the area where the British made their “last stand” before surrendering. While in Schuylerville you can walk along the historic Champlain Canal, visit art galleries, and lunch in eclectic eateries. Although there’s no food service at the park, a 15-minute trip west brings you to lively Saratoga Springs, where you’ll find outstanding cuisine from many cultures. Saratoga Springs is also home to a world-famous horseracing track and Saratoga Springs Spa State Park, where you can taste dozens of healing mineral waters. The Philadelphia Orchestra, the New York City Ballet, and jazz and writing institutes at Skidmore College bring concerts, performances, readings, and culture of the highest order to Saratoga each summer. Year-round, the spa town is home to the National Museum of Dance and some of the finest shopping in the Northeast. Find here everything from high-end clothing boutiques to unique bookstores and art galleries. Daytrips north of Saratoga National Historical Park will bring you to magnificent Lake George, Lake Champlain, the Adirondack Mountains, and Forts Ticonderoga and Crown Point from the French and Indian and Revolutionary wars. Come to Saratoga – it’s worth the visit!